It has been quite a long time since I have written here. The last time, it was some juicy strawberries, and this time around, I have some grapes to share here. It has always been a pleasure to watch plants, that you sow seeds of or get small seedlings of, from a plants nurseries, care for, and watch them grow over the time. It is a sense of absolute happiness when these plants that you've so long cared for, blooms and a much better feeling when it bears fruits, ones which you can consume. Talking about the grapevine, this has been with me for around four years now. It bore a good harvest the first year I got this plant. The next year, because of some unforeseen circumstances, the plant did not get a chance to bear fruits, even after it bore good enough inflorescences. 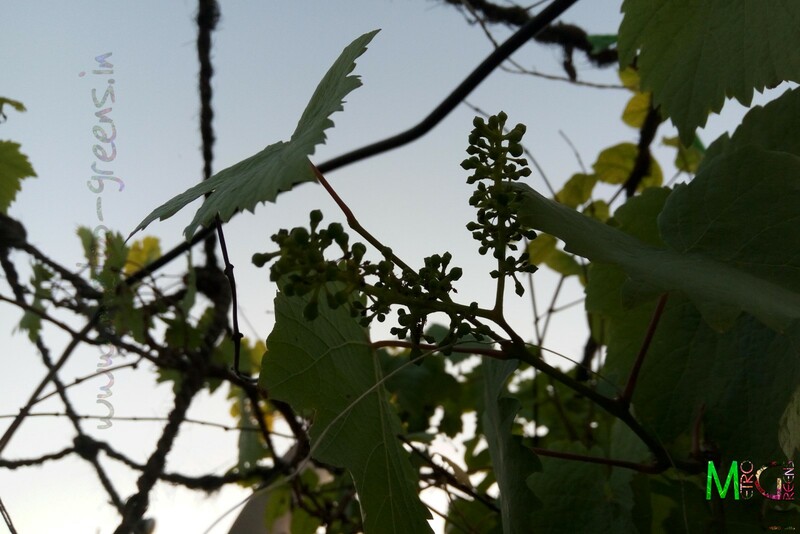 The next year, that is, the last year, the plant surprisingly gave a miss to the inflorescences and thus no grapes, last year as well. 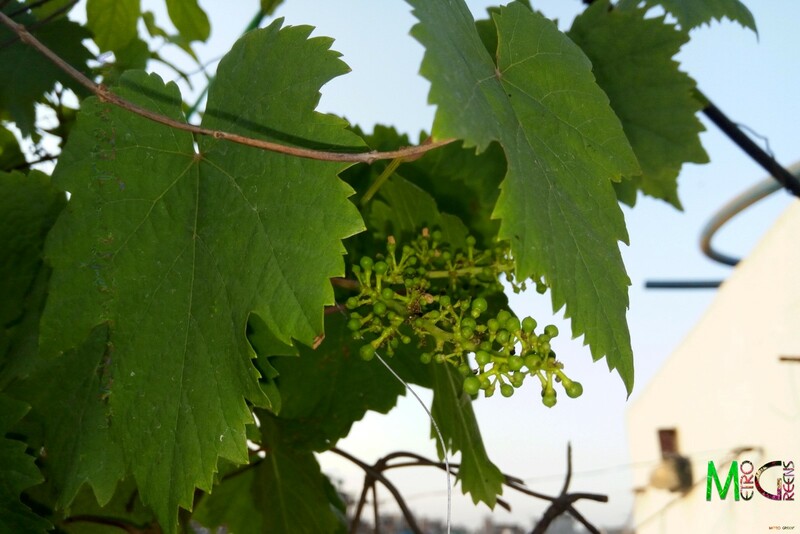 This time around, however, I got lucky, and a few bunches of grapes showed up. Hopefully, next year, I will have a better harvest that this year, and though, I do leave some of the harvest for the winged guests, I too want to taste the feeling of having your own harvest, right from your rooftop garden. There's some speculations of the monsoon arriving soon. And until it arrives, there's going to be a lean time, here, as nothing shows up in the scorching heat. The really hardy plants like the all season vincas - white and the pink ones are just the ones that bloom these days, and so is the arabian jasmine, that works wonders in the evenings with the superb fragrance. Hopefully, by the time the monsoon arrives, I will have better stories to share with you all, here. And since this time, I am expecting the tuberoses to give me a better yield, along with the new variety I introduced earlier this year, I can just hope to give you exciting food for thought here, in the coming weeks. Till then, HAPPY GARDENING!